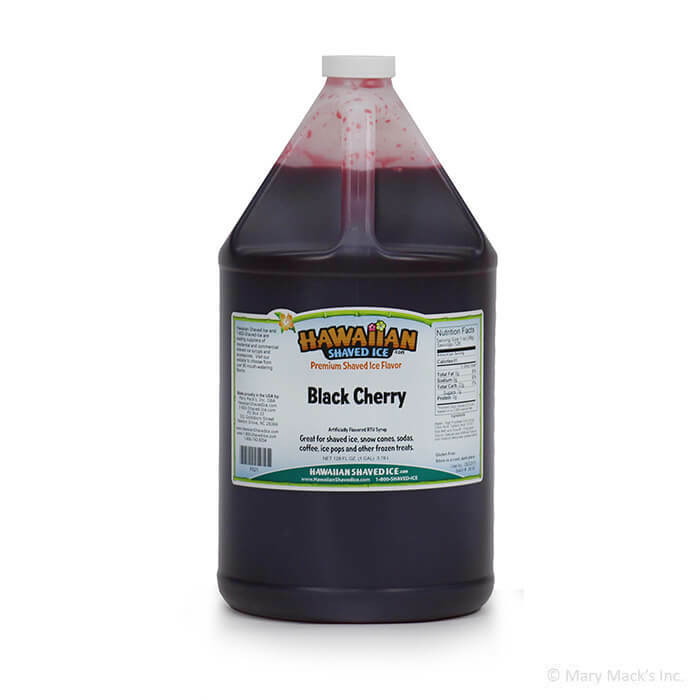 Hawaiian Shaved Ice black cherry snow cone syrup offers the taste of actual black cherries that you love. This real fruit taste is the perfect addition to any snow cone. This delicious shaved ice has the tart flavor of a sour black cherry. Kids and adults love this flavor because of the real cherry taste. Your family will probably have a hard time deciding whether or not this is from an actual black cherry! Whether this treat is for your next party or just a night with the kids, black cherry shaved ice syrup will not disappoint. Purchase this flavor in the gallon size so there is plenty for the whole party to enjoy. 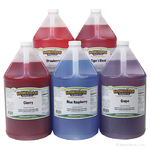 We also have black cherry flavored syrup available in the gallon size for a smaller group to share, or in the assorted packages so that you can enjoy some of our other great, fruity flavors!